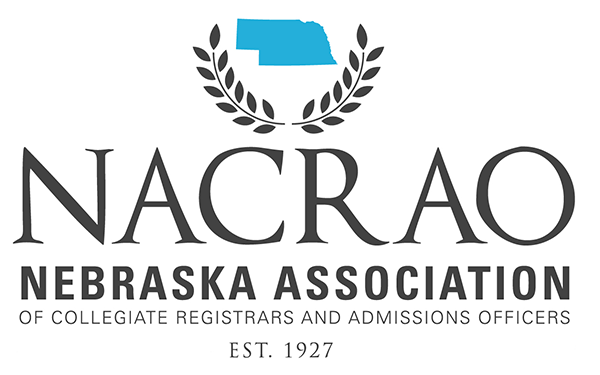 The Nebraska Association of Collegiate Registrars and Admissions Officers is a non-profit educational and professional association dedicated to promoting the advancement of higher education in Nebraska. Register to be a Conference Sponsor Today! Platinum: Payment of $750.00 to help sponsor a speaker or to partially underwrite conference entertainment/social. Ten minute presentation time during luncheon/dinner to promote company/organization. Will also accept written content to be read, if unable to attend. Silver: Payment of $250.00 to sponsor snack/refreshments during the conference and/or donation of 6 (six) door prize items to be awarded during the course of the conference. Bronze: Payment of $100.00 to sponsor additional conference expenses and/or 4 (four) door prizes.